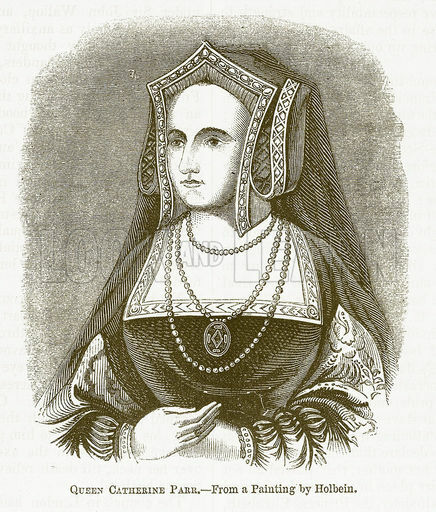 Queen Katherine Parr. Illustration for The Pictorial History of England (W & R Chambers, 1858). Artist unknown. You can see in this portrait why for many years they believed the old portrait at Lambeth was Catherine Parr; they kept reproducing copies of the image!